The US Treasury curve has (infuriatingly for policymakers) refused to reflect any growth hype narrative at all, with the spread between 2Y and 10Y maturities back in the teens - for the first time since 2007. 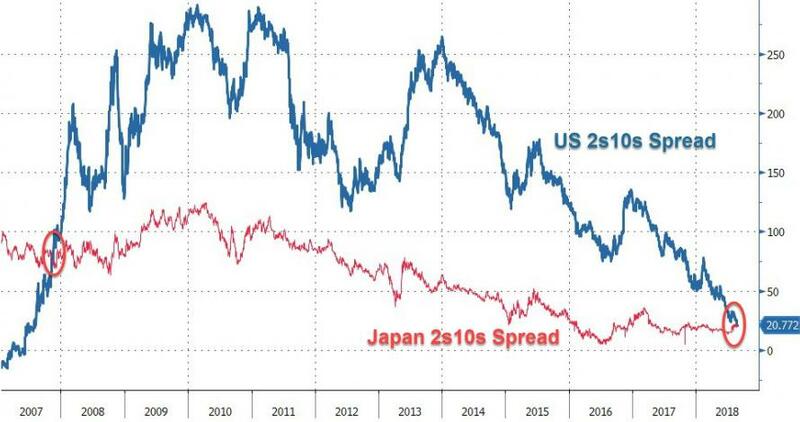 We are sure the 'smartest men (and women) in the room' in Jackson Hole will be doing their best to shrug off this yield curve collapse as 'different this time', but we suspect deep down they all realize that one more hike priced into the short-end and the curve is inverted. 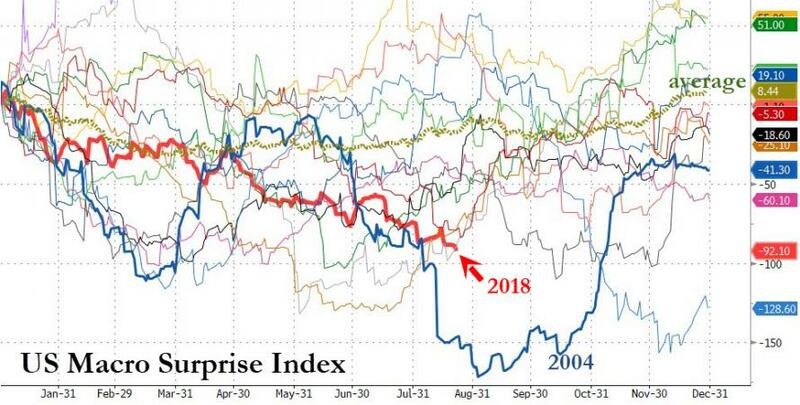 "We know there's a bunch of people who are saying this time it's different [when discussing the yield curve]" said Omair Sharif, senior U.S. economist at Societe Generale . "Yet they spent a good chunk of that [July] meeting listening to a staff presentation on whether their tool kit is sufficient if there's another downturn. They're kind of prepping their tool kit." Sharif said the minutes of the July meeting showed that some Fed officials are concerned about the flattening curve but others are not.